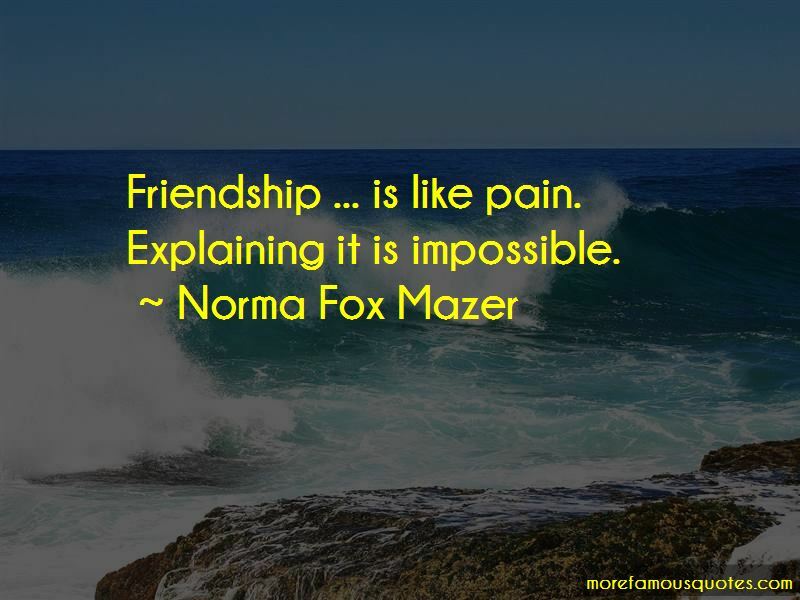 Enjoy the top 7 famous quotes, sayings and quotations by Norma Fox Mazer. 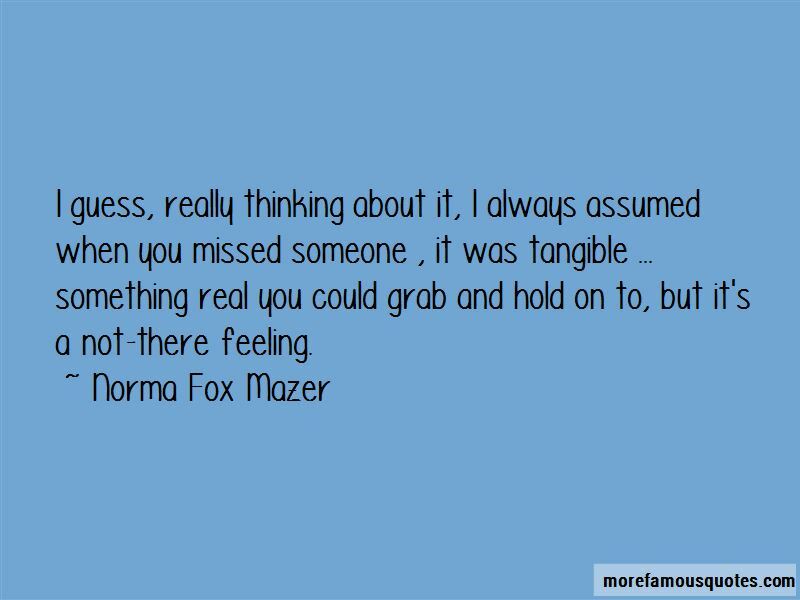 I guess, really thinking about it, I always assumed when you missed someone , it was tangible ... something real you could grab and hold on to, but it's a not-there feeling. Friendship ... is like pain. Explaining it is impossible. 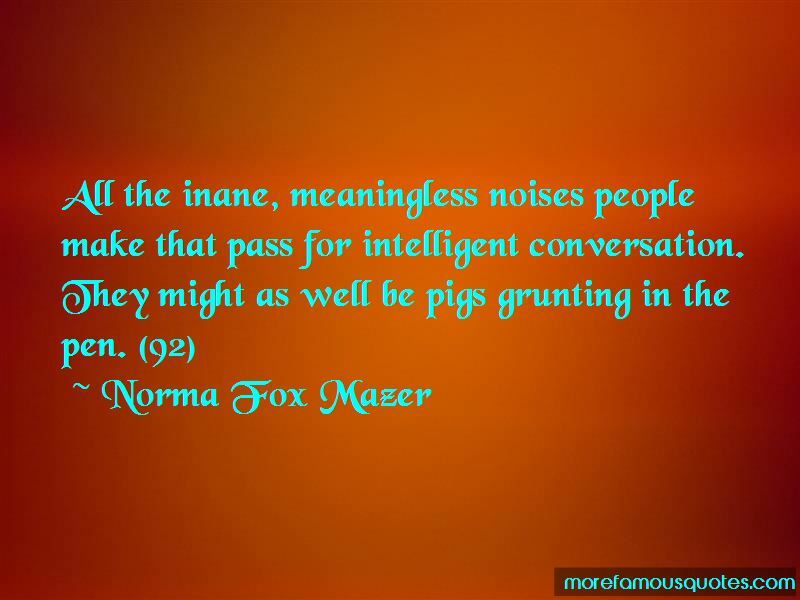 Want to see more pictures of Norma Fox Mazer quotes? 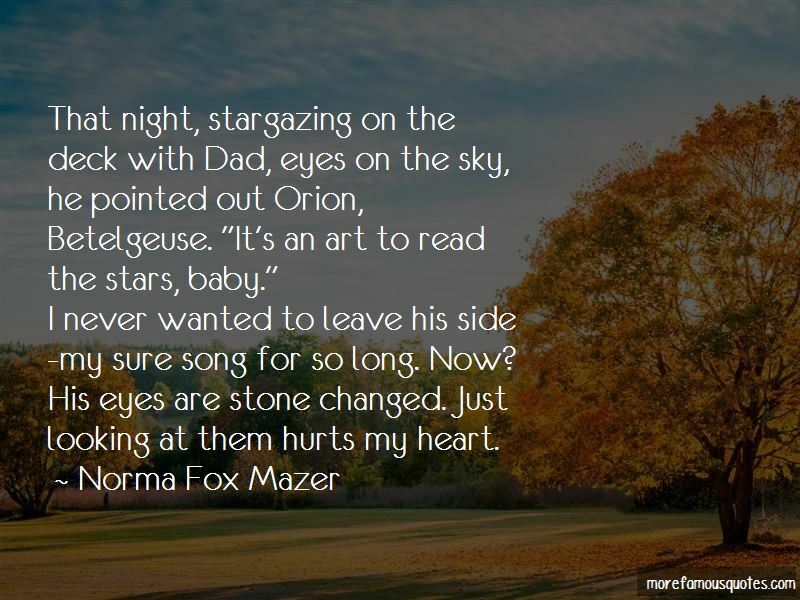 Click on image of Norma Fox Mazer quotes to view full size.